Some of these stocks have been in our company’s buy stock filter for some time as over the last five years, the Earning per Share CAGR as well as Total Revenue Growth CAGR have been growing at double-digit rates. Indeed, these stocks would have been very lucrative investments looking at the five-year price performance below. Similarly, Paypal rival, Adyen, did an IPO earlier this month which valued the company at $8.4 billion. The company now has a value of $12.3 billion. 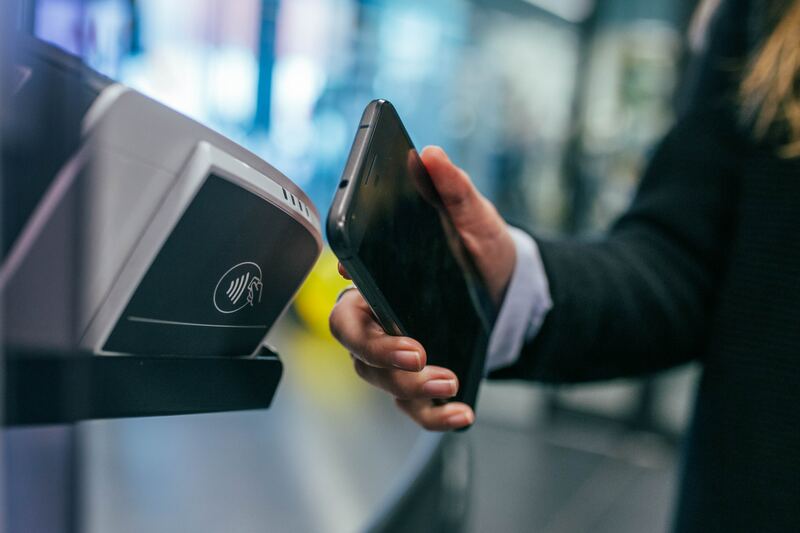 VISA Inc.’s 2017 Annual Report states that economic and technological progress—a rising middle class, contactless technology, and mobile computing—are shaping commerce globally and accelerating the migration from cash to digital payments. Last year, for example, global digital payment volume exceeded cash for the first time in history. In fact, the volume at VISA Inc. has grown incredibly fast (as table below illustrates). However, what is striking is that despite payment margin pressures, increased delinquency, and new business models geared to low-cost payment methods, VISA Inc.’s profitability has hardly been affected (see table below illustrating pre-tax margin between 2013 and 2017). As you probably are aware, in January 2018, the EU introduced a ban on charges for paying via credit or debit card labelled by European regulators and industry bodies as “rip-off card charges.” On my last trip to the US, I felt that I had to learn a bit more about the charges for the different overseas payment methods prevailing in today’s world. The difference between Swisscard and Revolut is 4.03%, making Swisscard less economical than the cash transaction. The difference between Swisscard and Revolut is 3.50%*, again making Swisscard less economical than the cash transaction. Notes: The annual credit card fees have not been considered in the above information. Revolut has no annual fee but a one-off fee of CHF 7. The annual fee for Mastercard amounts to CHF 100. The fees to top up the Revolut Card have been 1.84%. These fees could be partly eliminated by a less expensive bank transfer to Lloyds Bank in the UK or a less expensive top-up method. *Revolut charges a markup from 0.5% to 1.5% on currency exchanges on weekends. I was not able to pay with Bitcoin at the store. The closest Bitcoin ATM location to withdraw FIAT currency would have been 3.5km away and the withdrawal charges would have been 4% (Coinsource). As Apple Pay is either linked by a Credit or Debit Card, the fees would have been similar. There are also options to use PayPal services, but fees can go up to as high as 3.4% in addition to a fixed fee as well as a currency conversion fee. Mobile money is spreading fast, most particularly in China, where it is now possible to pay almost anywhere by using Alipay and WeChat Pay. We are seeing the same trend in Africa with M-Pesa and EcoCash. Simply by scanning QR codes, smartphone users can pay bills or purchase goods via mobile payment apps. Many people who have never had a bank account now pay their bills by smartphone or send their relatives money by app instead of sending cash. In America, Venmo and Square Cash are very popular. In Switzerland, the app TWINT is currently the market leader. With the adoption of real-time bank payments, people can benefit from 24/7 services at very low costs, at least as far as domestic payments are concerned. As volumes increase with more people using debit/credit cards worldwide or conducting digital transactions in foreign currencies (e.g., flight bookings through Kayak), it is important to select efficient digital payment methods. People should also pay attention to the management and transactions commissions which they pay to investment advisors or brokers even though they are usually much lower, percentage-wise, than the fees experienced with the payment transactions discussed above. Charges, taxes, and other investment costs can significantly erode the value of your investment portfolio. Who would think to check — or who would spot — that the difference of an ETF on the S&P 500 between two leading providers could vary by 32 bps over a year or by 71 bps over three years? We can certainly help you to find the best solution. Unlike many banks and asset managers, we do not invest in any in-house products. In this way, IAP is free from any conflict of interest or pressure to promote products with vested interests, and can always focus on the interests of the client. Please contact us if you would like more information on our fees or if you require advice on the most cost-effective payment methods, investment instruments, or platforms to suit your needs.